A dental implant is a titanium post that is inserted into the jawbone to replace the root of the natural tooth. Implants can be used to anchor crowns, bridges or dentures in place in the mouth. 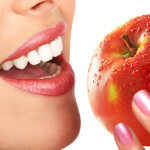 Most healthy people can have dental implants placed. To have implants, you must also have healthy gums and have enough bone in the jaw to hold the implant. If your jawbone has shrunk or if it has not developed normally, you may need a bone graft to build up the bone before you can get an implant placed. Usually a specialized x-ray called a Cone-Beam CT Scan is prescribed to check the area where an implant is needed to make sure that there is enough bone present and that there are no nerves or sinuses in the area that could affect the treatment. If you are missing a tooth and would like to find out if implants are a good option for you, call us at 604-224-6262 or 604-525-4391.